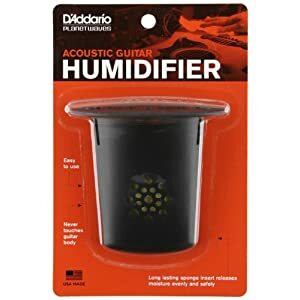 The D’Addario Guitar Humidifier makes it easy to properly and safely humidify your guitar. 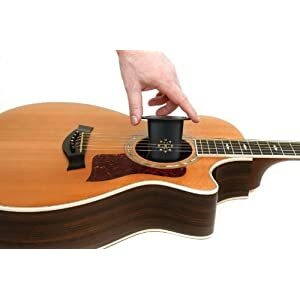 The design allows the humidifier to hang in the sound hole of the guitar so it never touches the body of the instrument. Simply moisten the sponge and install for reusable humidification. The humidifier releases the moisture slowly and evenly keeping your guitar perfectly humidified.